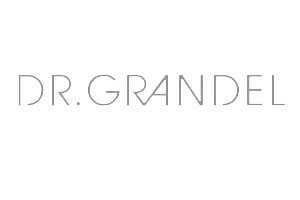 DR. GRANDEL offers an exceptional selection of anti-aging products which effectively work against the signs of time on your skin. This serum has been specifically designed for customers who are not only looking for beneficial moisture penetration but for an intensively refined skin appearance as well. They are in pursuit of a product that corrects unevenness and leaves the skin looking even and visibly smoothed. 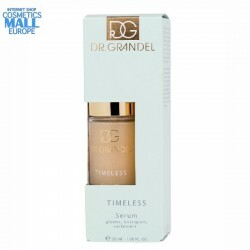 Tip: An exclusive skin-care combination would be alternating use of TIMELESS Concentrate in the morning and TIMELESS Serum in the evening. 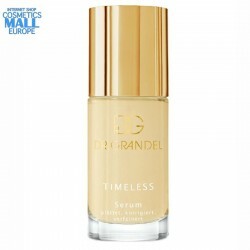 As a final skin care, again a DR. GRANDEL skin-care cream from the TIMELESS serie is recommended.